Results: Samoa Joe defeated Chris Jericho; Gallows and Anderson defeated Enzo and Cass; TJ Perkins defeated Jack Gallagher; Alexa Bliss defeated Sasha Banks, Nia Jax, and Mickie James (Fatal Fourway to determine the #1 Contender for the Raw Women’s Championship); Finn Balor defeated Curt Hawkins; Jeff Hardy defeated Cesaro; Braun Strowman vs. Big Show ended when the goddamn ring collapsed under the weight of sheer awesomeness. 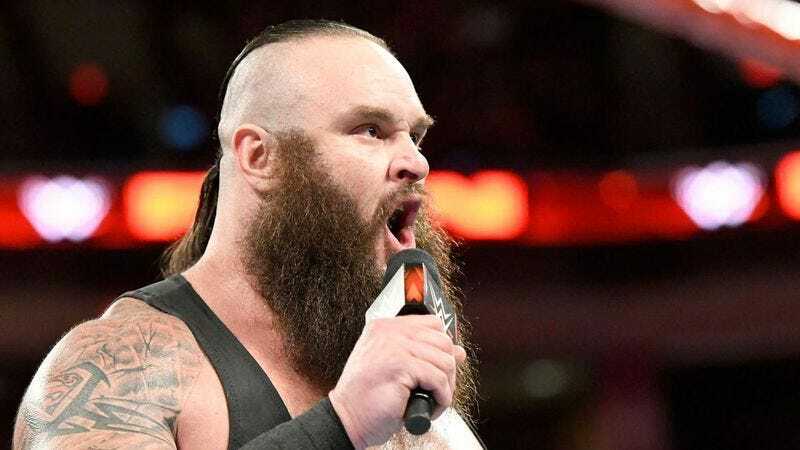 This week’s Raw makes the smart choice of starting the show by following up on last week’s most popular segment and bringing out Braun Strowman. He’s all intensity when he comes to the ring, looking like he’s spent the last 7 days looking forward to gloating about destroying Roman Reigns. He cuts a good, short promo about how proud he is for putting Reigns on the shelf. The only problem is that, for all intents and purposes, Strowman is still being booked as a heel. It would be one thing to have him finding that Tweener balance, but here he’s meant to be the bad guy. Nobody is the bad guy after flipping over an ambulance, especially if that ambulance has Roman Reigns in the back of it. Strowman spends part of the night taking out superstars. The best comes when he calls Kalisto “garbage” and then throws him in a literal garbage dumpster. Unfortunately, Big Show intervenes and sends Braun to the ground, thus continuing the nuking of any momentum Braun had post-ambulance lifting. I of course understand that Braun isn’t a pure babyface, but it’s frustrating to be so counterintuitive with him. They spend months building him up as this total badass, he finally gets the crowd behind him after some seriously great segments and matches, and then he just becomes—presumably, of course—a pawn in a Roman Reigns story. We’ll see what happens. More on Strowman below though because he’s nowhere near done being the star of this show, and you’re damn right he gets that momentum back. Curt Hawkins didn’t get in any offense against Finn Balor and therefore he didn’t knock him out cold. A+ work. Look, I’m all for kayfabe hype, but Cole calling Nia Jax “one of the most dominant superstars in history” is quite the stretch. Bogus hyping aside, it’s a real shame that Nia Jax, Alexa Bliss, Mickie James, and Sasha Banks don’t get to main event Raw; that’s not a knock on the great main event, as WWE makes the right choice here, but rather a note on the missed opportunity. All the ingredients are there to make a statement, from the great video packages for each wrestler to the various stories that need to be told, both with Nia and Sasha looking for revenge for their Wrestlemania loss, and Mickie James and Alexa Bliss looking to make an impact on the Raw roster. WWE had every opportunity to make this a Moment, and while the match certainly lives up to the video package hype, having Bliss be the final shot of Raw would have really been something special. That said: Alexa Bliss is so over and it makes me unbelievably happy. Here’s hoping WWE crafts an actual story out of Bliss vs. Bayley. As with so many Raws, this week’s episode has some solid wrestling and almost no storytelling whatsoever. There’s nothing to Gallows and Anderson vs. Enzo and Cass. There’s no real heat between Jack Gallagher and TJ Perkins, and not even Neville and Austin Aries can liven up the segment. Hell, even something as imbued with history as the Ambrose-Miz feud doesn’t get much storytelling action. It’s nice to see Ambrose cutting a solid babyface promo, but man, where’s the personal jabs? These two should hate each other after what they’ve been through, but WWE is playing it mostly straight, as if the two have never locked horns before. 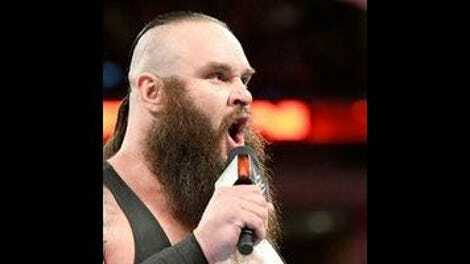 Bray Wyatt and Randy Orton are playing out their Wrestlemania storyline all over again. Who thought that was a good idea? Not totally sure how I feel about Jeff Hardy defeating Cesaro in a singles match, but I guess you have to keep that Hardys train rolling. That’s the optimistic take at least. Alicia Fox, Dana Brooke, and Emma briefly interact backstage and it’s almost like there’s potential for a second Women’s storyline on Raw. So the Titus brand just constructs bad puns? That’s literally it? If I had to nitpick some character work this week, it’d be the fact that Neville doesn’t lay out TJ Perkins after his match. The ruthless King Of The Cruiserweights shouldn’t be palling around with anybody. I really, really hope that The Drifter just wanders around segments and matches for months on end. There’s no need to do anything else. WWE has already found the character’s ceiling. So, for the second week in a row, Braun Strowman is the standout star of Monday Night Raw. And for the second time this year, Braun Strowman and Big Show put on an absolute classic. What’s incredible is that they double down on the psychology of their first match. They could have easily run the same match all over again with a few twists, but this is a match that feels scouted. This is a Hoss match, sure, but it’s also two dudes who are willing to do anything to pull out the win. So they trade feats of strength and Strowman shows off some chain wrestling. When Big Show hits a baseball slide, Strowman one-ups him with a running drop kick. When Big Show delivers a body slam, Braun one-ups him and executes a superplex off the top rope, destroying the ring and referee John Cone in the process. It’s perfect not just because it’s a delightful spectacle, but because there’s a story to be told. Strowman consistently one-upping Big Show proves that he’s the new monster in town. He’s the new unbeatable force. It’s a shame there’s no PPV or title or some sort of Big Stakes tied to this match, but that doesn’t stop it from being the best piece of storytelling from the night. Let’s enjoy that for now, because before long a certain wet-haired Samoan is probably coming back to feast on Raw‘s biggest star.